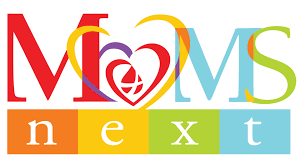 Welcome to MOPS and MOMSNext at Holy Nativity! MOPS is a group for moms of young kids, aged birth through kindergarten. Plus, we’ve combined our MOPS group with a MOMSNext group, so we can support and encourage even more moms. This means that any mom, with any aged children, is invited to attend. Being a mom is hard, so we provide a safe place to nourish your soul, build friendships, and talk through the joys and pains of raising humans. Here at Holy Nativity, we notice how incredible you are, moms. We notice how endlessly you work to create a great life for your family. We notice how much patience and energy you put forth each day. We notice how fiercely you love your children, and we know you want the absolute best for them. We know that you love being a mom, but we also know that being a mom of young children can be hard. It can be exhausting. It can be isolating and discouraging and overwhelming. That’s why we’ve launched a partnership with MOPS and MOMSNext. We want to support and affirm you in this wonderful-yet-messy adventure that is motherhood. We want to see you flourish! Our MOPS and MOMSnext group meets once a month, and each time we gather you’ll have the chance to make friends, engage in lively, relevant conversation, and grow in your faith. You’ll be able to get away from the kids and the house and connect with other moms who share the same joys and frustrations. The Holy Nativity MOPS group meets at the church on the First Tuesday of each Month, September through May. We meet from 6:00 PM – 7:30 PM. Child care is provided, and snacks are always present! Finally, you can email Pastor Ashley, who can answer your questions and connect you: pastorashley@holynativity.net.